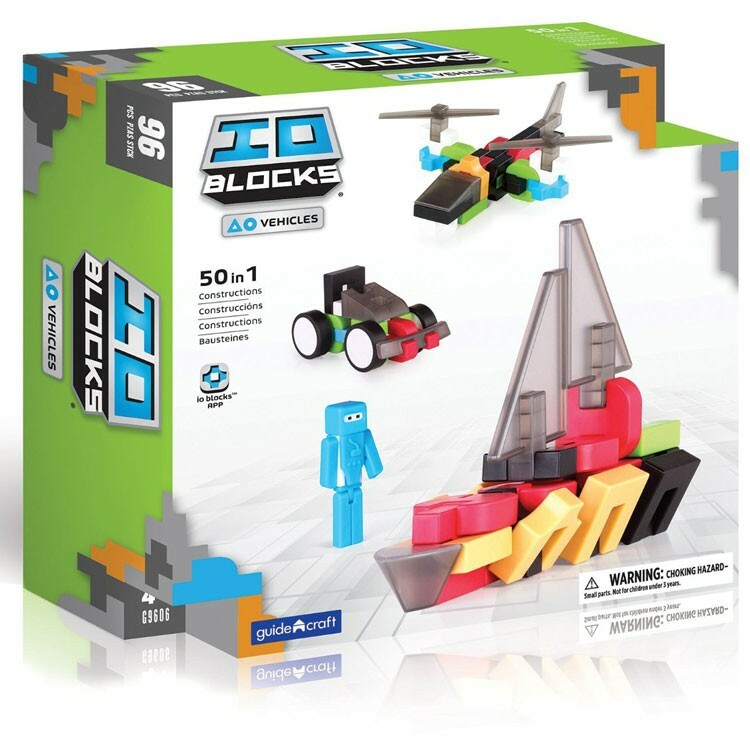 Follow the instructions from this innovative 96 pieces IO Blocks building kit or online app to assemble any vehicle model you can imagine! 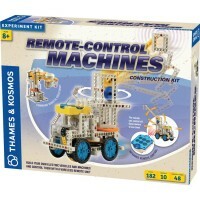 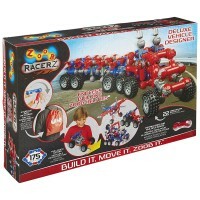 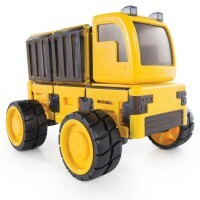 Design, build, race, and play with IO Blocks transportation construction set! 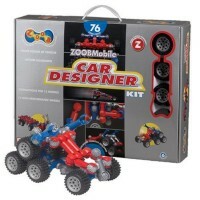 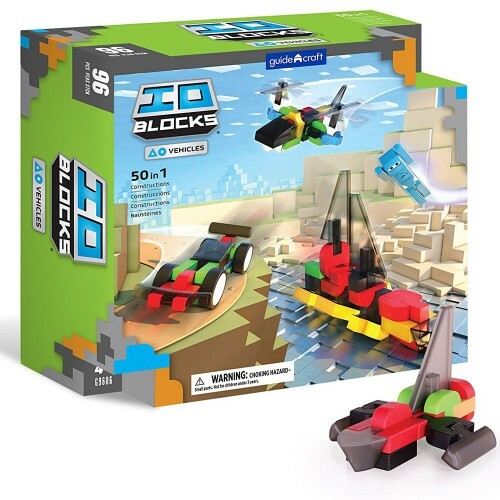 IO Blocks Vehicles 96 pc Deluxe Building Set is an futuristic construction toy from Guidecraft. 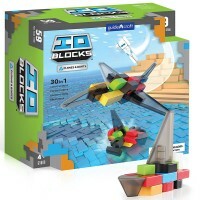 IO Blocks building system features pixelated, digitally inspired parts that look attractive for the young engineers and are easy and fun to build with. 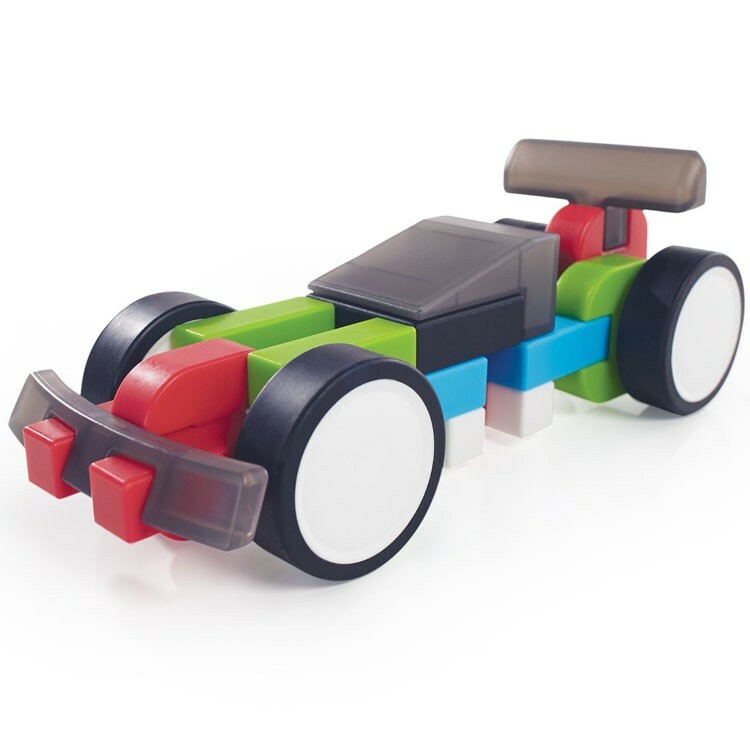 The deluxe vehicle building set by IO Blocks brings fins, wings, cabins, wheels, cabs, bumpers and other vehicle parts to have creative and almost endless construction. 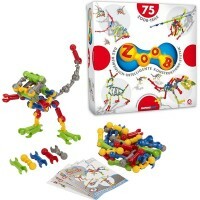 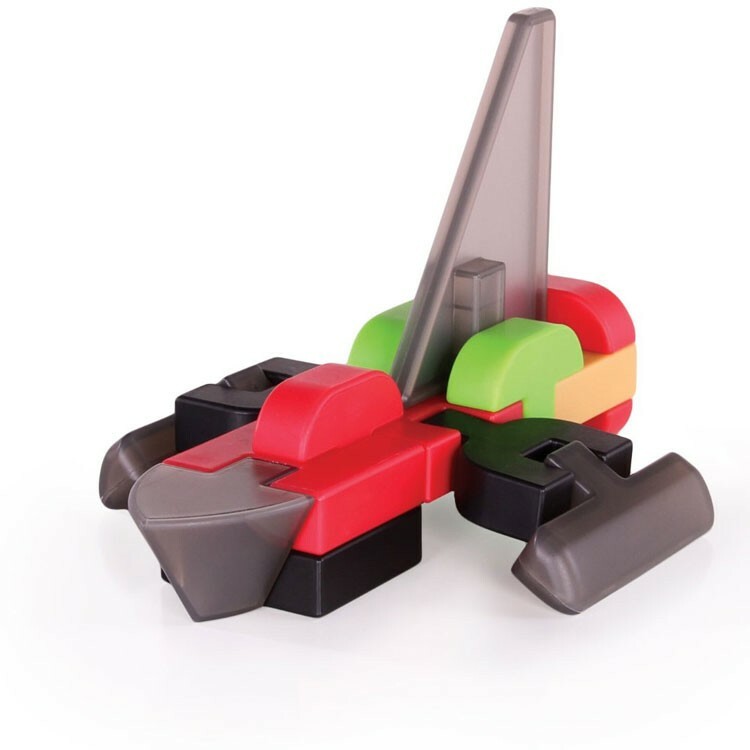 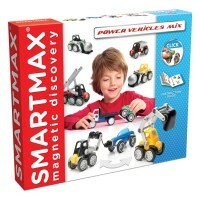 The 96 soft-touch parts from this Educational Toys Planet's building set interlock with friction and include original IO Blocks shapes, 2 IO Heroes play figures, and vehicle attachments for vehicle engineering fun. 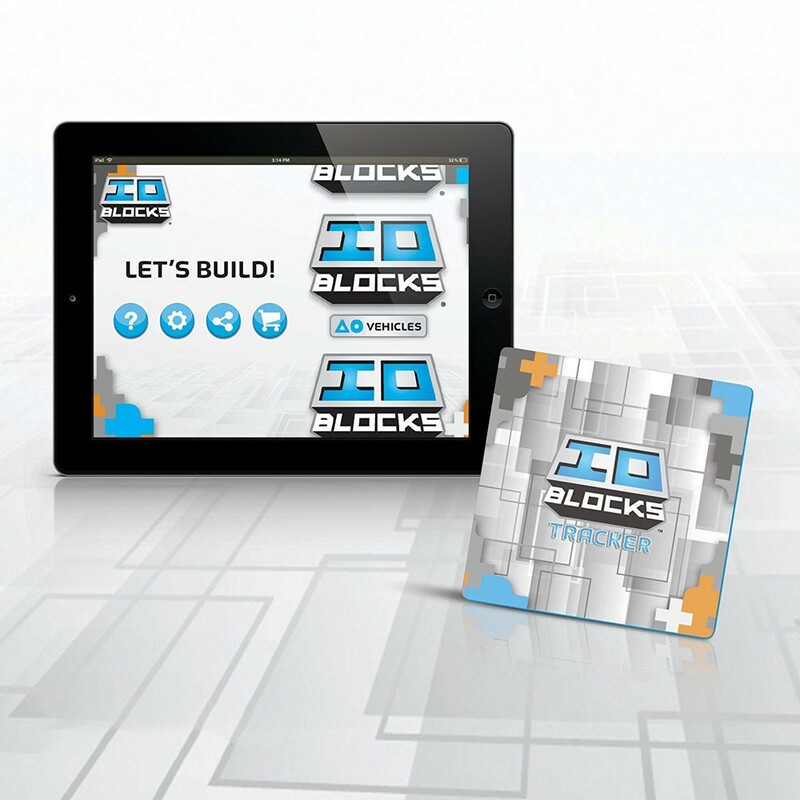 Kids can use the enclosed tracker pad and free IO Blocks app for additional building ideas. 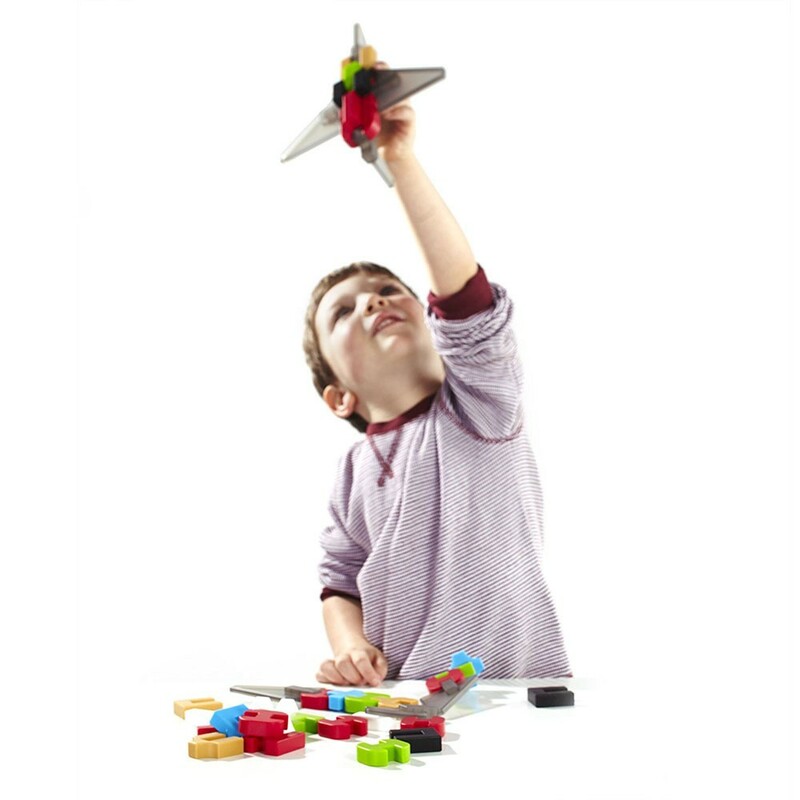 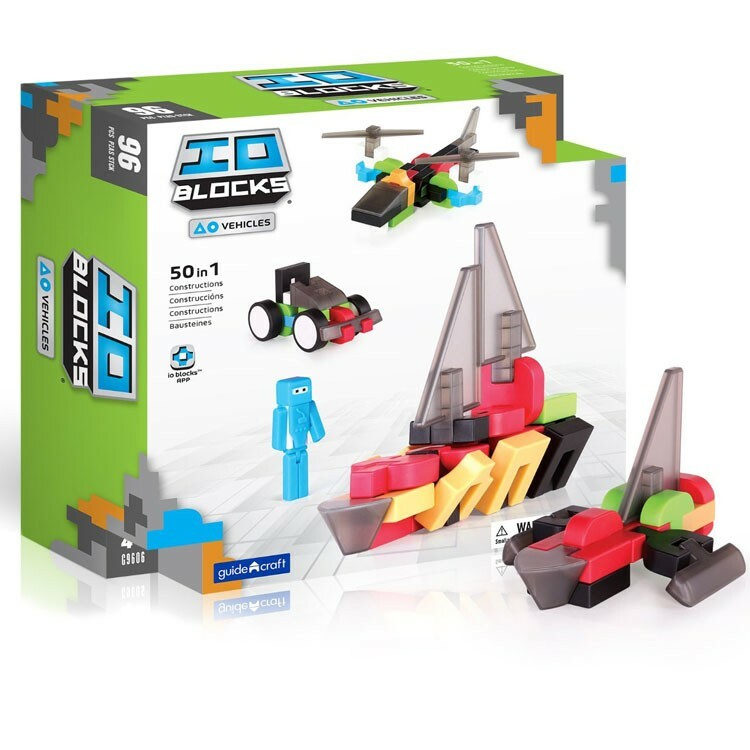 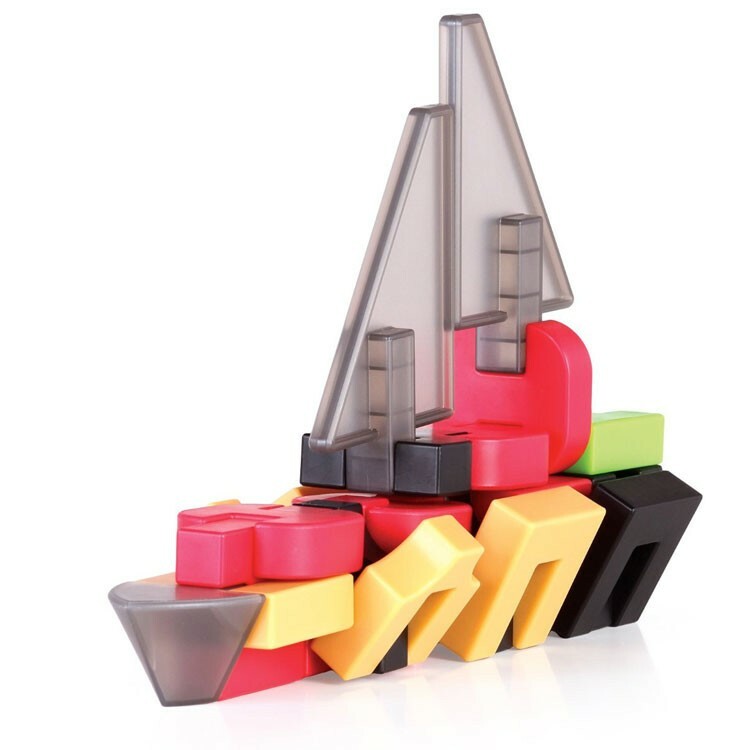 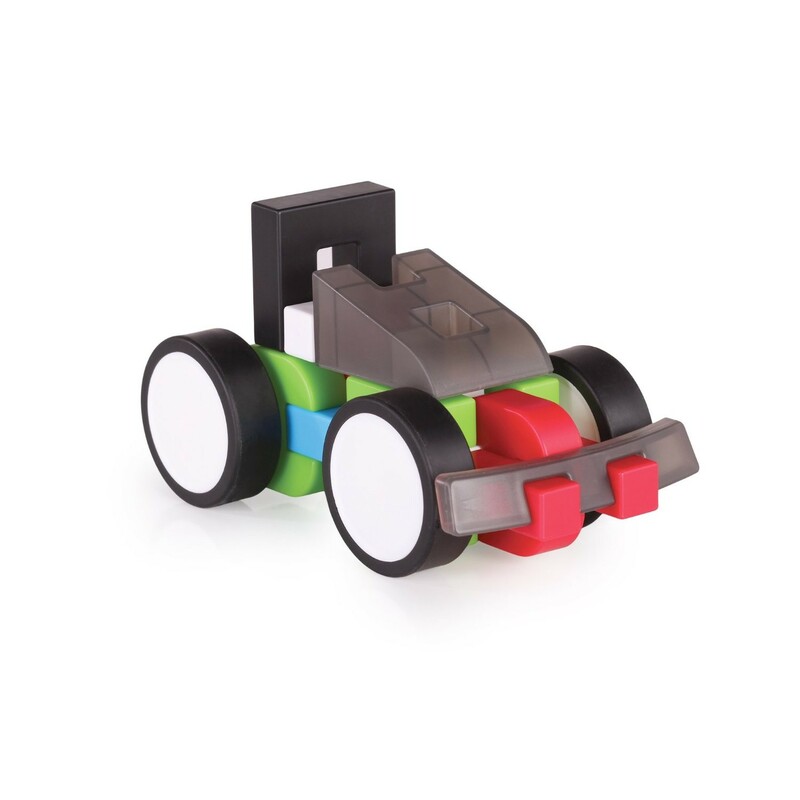 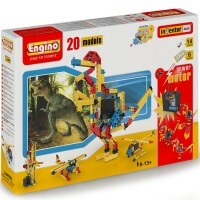 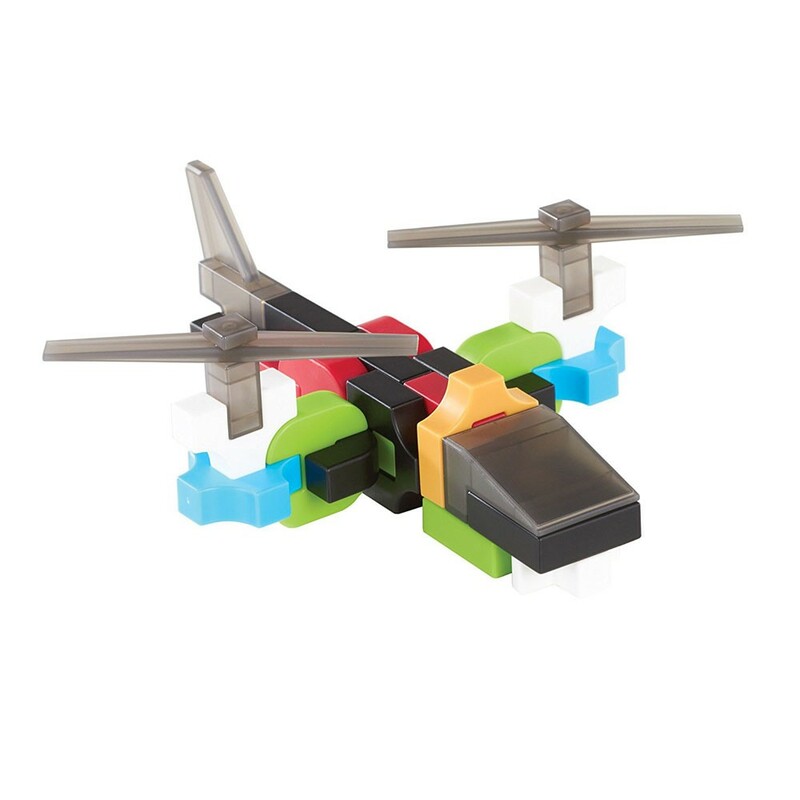 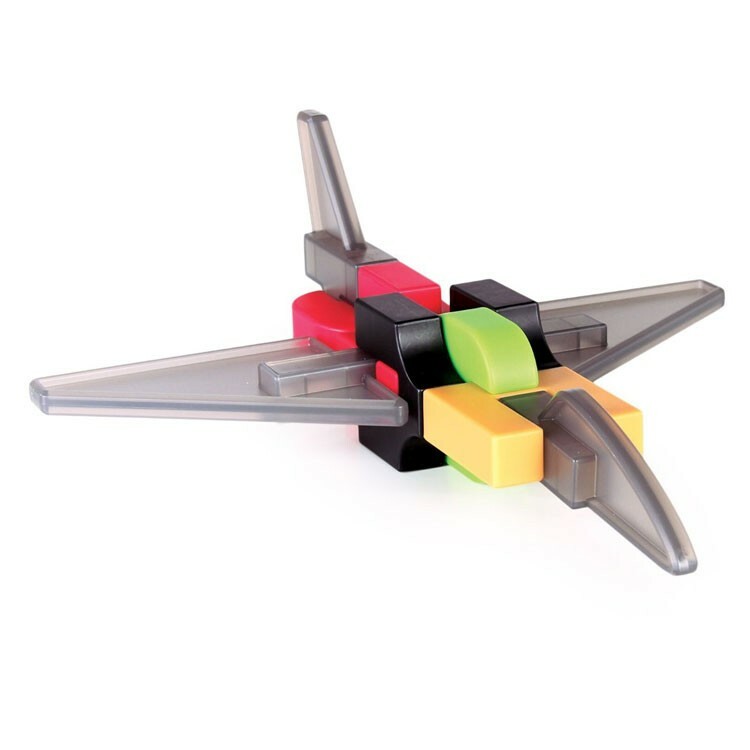 Your child can follow the instructions from this IO Blocks building kit or app to assemble a jet plane, helicopter, boat, race car, bumper car, sailing ship, or any vehicle model he can imagine and put together. 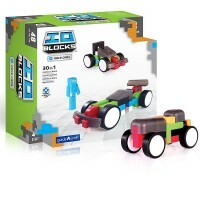 Dimensions of package 11.5" x 11.5" x 4"
Write your own review of IO Blocks Vehicles 96 pc Deluxe Building Set.